Creso Pharma (ASX:CPH) today announced it had entered into a strategic partnership and commercial distribution agreement with Hong Kong listed Zhejiang Kingdom Creative Co., Ltd (HKG:0528). The agreement with the HK$623.38 million (AU$90.6M) capped company gives Creso access to the lucrative Chinese healthcare sector. Kingdom is a hemp and flax-based linen production company, located in China’s Zhejiang province and is looking to expand its product offering into the healthcare sector. The partnership with Creso is thus mutually beneficial as Kingdom draws on Creso’s expertise in hemp- and cannabis-based nutraceutical and medicinal cannabis therapeutics and products. Kingdom will use the partnership to vertically integrate beyond textiles and diversify into value-added, hemp-based nutraceuticals for human and animal health as well as cosmetics and beauty products. 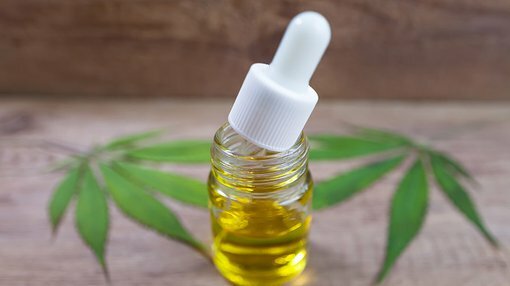 The two companies will collaborate to distribute hemp- and cannabis-based products for human and animal health as well as cosmetics, body care and medicinal cannabis products across China. The Chinese health food market is currently valued at RMB200 billion (US$30 billion) and is projected to grow by 10 per cent every year to 2025. The market includes vitamins, dietary supplements and minerals, animal and herbal extracts and traditional Chinese medicine. According to some reports, China is becoming the world’s largest market for healthy eating. China is also the world’s largest producer of pharma ingredients and the world’s second-largest pharma market. It is projected to reach US$158 billion worldwide in 2016 and grow at a CAGR 7.7% between 2014 and 2019. Sales for medical cannabis in China are also expected to grow with China progressively opening up legislation to allow hemp-based and medical cannabis products to be available to patients. “This is a very exciting partnership for Creso as it gives us a strategic foothold in China and Asia. Our collaboration with Kingdom offers a great opportunity to work with a well-established and substantial organisation in this market,” said Creso Pharma CEO and Co‐Founder, Dr. Miri Halperin Wernli. How much of this market, Creso is able to attract remains to be seen and investors should seek professional financial advice if considering this stock for their portfolio. Creso has been working hard behind the scenes in Asia to create a first mover advantage and has opened four offices in China: Beijing, Shanghai, Shenzhen and Guangzhou. Entry into China, gives Creso a sales and marketing presence and local distribution network for its products as well as platform to launch into the broader Asian region. Creso and Kingdom will enter into a definitive agreement within three months of execution to further define the collaboration and commercial terms, including consideration of expansion into additional territories. “The opening up of four offices in major Chinese cities strongly augments this agreement (with Kingdom) and gives the partnership additional sales and marketing support and our own local distribution network. We will use this presence to expand into other strategic Asian markets,” Dr. Halperin Wernli said. The partnership with Kingdom is just the start of the company’s Asian expansion. Creso is in advanced discussions with other Asian pharmaceutical and cosmetic groups to bring its products and IP to Asia in a fast, effective and efficient manner to be able to reach a massive population of consumers and patients.